A Cast Iron Bath is the ultimate choice to give a bathroom a stunning traditional centrepiece that transports you to a bygone era. The baths are cast using traditional casting methods in a foundry, the enamel coating is then applied using the latest glazing techniques. All of the Cast Iron Bath range from JIG is available in a stunning range of different colour finishes at no extra cost, Due to this custom nature of this product & custom painting, each product has an estimated 2-3 week lead time. 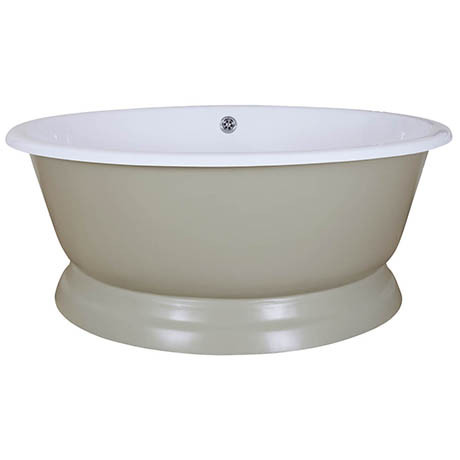 The bath is also available in a Prima black finish if you prefer to colour yourself.